Large greeting cards are folded 5.5" x 5.5" and come with envelopes. Small prints are 8.5" x 11" and are available unframed on cardstock or photopaper. Giclee prints of various sizes, on different materials, papers or canvas. The GICLEE printing method is employed by museums and uses longlasting archival ink on high quality archival paper. The images which are solely based on vectors can be enlarged to 36" without loosing the quality of high resolution. The others marked B* contain bitmaps, and loose some resolution beyond 24" diameter or the longer side of the rectangular designs. Since I found a printer, who uses a sophisticated program to enlarge the images without loss of quality, I am confident that you won't notice any quality reduction on the large prints. So I decided to make them available in all desired and available sizes. For prints larger than 36" please inquire about availability and price. Check back regularly as I will be offering different products. If you have any suggestions and are interested in a specific product, please let me know, as I might be able to make it available to you. and fossils of ancient sealife and in what is called the Golden Section in architecture. It seems that nature doesn't favor straight edges or repetitive angles and corners, which we find in most of our 'modern' buildings, as these rigid structures, according to recent re-discoveries of mathematics and physics tend to use more energy to sustain themselves as they give off, which is in the long-term an unsustainable condition with no intrinsic value. 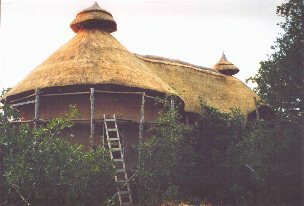 The natives and indigenous people around the world created structures which favor energy flows and in turn supply an energetic supportive space. Round adobes, yurts, igloos, teepees , mounds, kivas, etc. have been and still are the favored forms of housing. We in the so-called civilized world are re-learning this ancient wisdom and beginning to create a more sustainable housing and lifestyle. with the most advanced telescopes or researching with consciousness technologies the nature of consciousness itself, which is not limited to humans but in actuality can be found in everything, from an amoeba to the largest (fungi, which cover squaremiles) or oldest (Bristlecone Pines, which redefined carbon-dating itself) organisms on the planet. Much of the most recent research has been compiled by the BIONEERS. Many of these findings are very encouraging as far as the clean-up of the planets environmental crisis is concerned, like Oyster mushrooms actually transmuting oilpolluted areas, by 'eating' it and continuing to be edible, with no trace of the petrochemicals they consumed found in them. The Designs of Living Light Creations by André are a series of graphics which incorporate sacred geometry, numerology (the science of numbers) and color to evoke remembrance of the deepest levels of our being. They are a part of the 'alphabet' of the ancient and universal 'Language of Light'. The symbols of this language have been used throughout history to manifest this world from undifferentiated substance into distinct forms. The most visible and basic are: Point (0-dimensional), Line (one-dimensional), Triangle, Square, Circle (two-dimensional), Cube, Icosahedron, Dodecahedron, Sphere,Tetrahedron (three-dimensional). They also contain Spirals (Phi or Geometrical progression), Vesica Pisces and many other patterns which are found in nature and the sacred art of all cultures. As Mandalas (circular drawings) they are found throughout the world expressing various energies and serving as meditation foci and expressions of our inner nature as well as depiction of our inner journey of awakening. In essence these designs are vibrations (mathematical correlations) in form and have correspondences in music (as sound sequences in time and space, over and undertones, various scales, etc.) and are used by Spirit to bring a desired idea into manifestation. In this context the ancient Science of Breath (Pranayama) plays a vital role, as breath or carrier of life-force (chi, prana, orgon, etc.) into and through the body is responsible for generating the desired sounds and in turn images and vibrations which directly affect and effect matter into desired forms - be it a table, a house, an organization, an institution, a chemical formula or any form of relationship. Specific vibrations (sounds) affect the physical, emotional, mental or spiritual substance and coalesce it through the agency of intent and the energies of will, love and intelligence into form. As everything is alive and conscious, from a single atom to the entire universe, we engage the cooperation of the respective lives to shape our reality moment by moment. The Living Light Designs are created with the intent to evoke the Presence, to awaken the dormant DNA strands, to stimulate the inactive codons (only 20 of the 64 are presently active in the majority of human beings) and to facilitate alignment of all our bodies and aspects or selves. As they carry complex energy configurations they require at this time a group-conscious effort to be brought fully into form. This points to our collective future, which will be based on group-consciousness - the 'I' that is 'We' - or that aspect within our being which is sometimes referred to as 'The Angel of the Presence'. Each image is created in accordance to certain numbers or number combinations as well as with specific colors, color sequences and color blends to evoke various qualities. They are meant to inspire and uplift and evoke joy, well-being, love, courage, trust, understanding and compassion. Depending on which image you are drawn to and choose to interact with, they can assist you in remembering and consciously reconnecting with various aspects of your Greater Self. We soemtimes forget that we are all that and in turn can find ourselves feeling separate, alone and afraid. In order for you to fully experience the effects of these designs allow yourself to breathe in deeply and relax your body, emotions and mind. As you open yourself to their energies allow them to work their magic on you and through you. We are using several larger prints around our home, including living room, kitchen and hallway. At times we rotate them according to the seasons. Their unique energies can resonate with your moods, your aspirations and current state of being, as they range from meditative to active. To choose a design allow your soft vision to connect you with an image without the interference of the mind's judgment. You can use the larger version to see more details by clicking on the image in one of the 9 galleries. Open your heart and receive the gifts of the spirit - it is the gift of your Self. Thank you for your interest and order. This work is dedicated to the wellness and upliftment of all life and offered in the spirit of love, joy and abundance for all. The following menu takes you to a few inspirational sites and my link pages.